LCR (London & Continental Railways) is a public corporation of the Department for Transport. For over 20 years, LCR has been managing, developing and disposing of property assets within a railway context, and in particular assets associated with major infrastructure projects. As guardians of public land, they have an important role in the Government’s drive for homes, jobs and economic growth. Today, LCR’s primary focus is in the area of property development and land regeneration. In London, LCR is a joint venture partner in the £2.4bn strategic development at International Quarter London in Stratford; in 2016 the organisation also sold its 36.5% share in the major regeneration programme at King’s Cross, for which it was a steward for almost two decades. 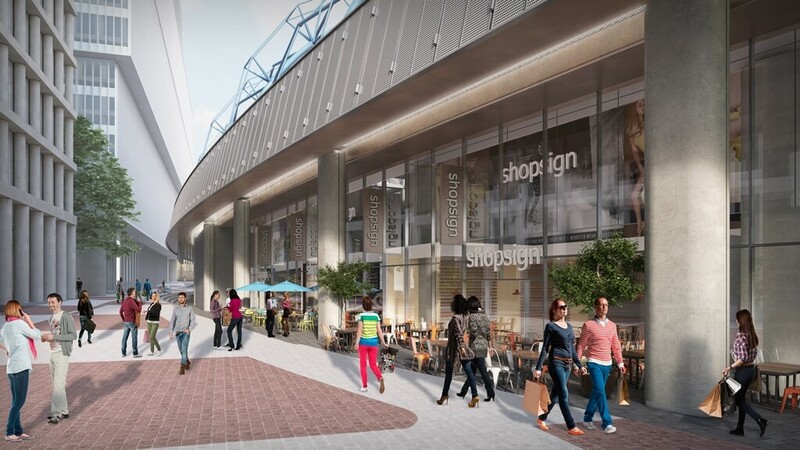 More locally, LCR is working with the DfT and Network Rail to bring the Waterloo International Terminal back into use and is exploring the potential for transforming the arches at Leake Street into a new dining and leisure destination. Restoring the former Waterloo International Terminal (WIT) is the first phase of the wider Waterloo Masterplan, funded by Network Rail, to bring together the disjointed elements of the station to ensure it has the capacity to meet growing demand. The project will enable domestic services to run from platforms 20-24; with modern facilities, new track and signalling and a layout suitable for thousands of domestic passengers. It also provides the opportunity to reuse substantial areas of WIT, which are not required for operational purposes, to provide new retail uses. LCR is involved with the redevelopment of the Leake Street Arches beneath Waterloo Station into 25,000 sq ft of space, predominantly for cafes, bars and restaurants. London’s largest legal street art tunnel, Leake Street links Lower Marsh in Waterloo with South Bank and has made its name as a democratic cultural venue for street art. Public realm improvements will be a key part of both developments, including a new pedestrian link to Westminster Bridge Road and improved lighting, security and surfaces. For more information on this SBEG member, click here. In 2007, LCR delivered Royal opening of St Pancras International and the smooth transition of Eurostar services from Waterloo International.